Both emulsifiers and homogenizers forcefully mix many substances. But while an emulsifier only makes use of one type of mechanical force, a homogenizer makes use of many. At BEE International, our proprietary homogenizing system combines turbulent premixing with product progression through highly pressurized spaces, utilizing shear, cavitation and impact to break apart particles and uniformly mix and blend them. The result is a product with multiple benefits. The high pressure and additional forces used by high pressure homogenizing systems (like those with our patented BEE International Emulsifying Cell technology) drastically reduce product particle size. Sub-micro particles have more surface area per particle, which means each has more opportunity to interact with another. This not only makes it easier for mixing agents to do their job (after all, they have a larger area on which to apply their “glue”), it also creates a final product with identical (i.e., homogenous) properties, improving the texture, consistency and appearance of many consumables, (especially important for those in the food and cosmetic markets) and increasing the bioavailability of drugs for the pharmaceutical industry. The vigorous and multiple forces utilized by homogenizers make it harder for product particles to resist initial mixing and harder for them to separate afterwards. It also allows for large volume processing since homogenizers have greater capacities than traditional emulsifiers. The ability to create more stable products with longer shelf lives in shorter amounts of time with fewer passes saves time and money, valuable benefits for companies wanting to make the most of their resources. The value of a high pressure homogenizer extends far beyond mere mixing of substances, making it the equipment of choice for companies wanting to maximize their processes while still achieving a superior meld. If you need assistance determining if or how homogenizers can improve your manufacturing turnover, as well as provide you with superior oil emulsifications, contact our team at BEE International. Our HPP homogenizers aid all types of businesses, including those in the food, pharmaceutical, chemical, biofuel and cosmetic industries and more. Feel free to also download our free eBook, "How to Achieve Efficient & Consistent Particle Size Reduction," for additional information about the value of smaller particle size within a manufacturing context. Oil-in-Water and Water-in-Oil Emulsions: What's the Difference? You’ve no doubt heard the phrase “Oil and water don’t mix.” It’s basically a way of saying certain items or people do not go well together. However, oil and water can mix with the right ingredients – specifically, emulsifiers. Emulsifiers prevent oil and water from separating by establishing a barrier that protects the droplets. When oil and water are mixed powerfully, they form either oil-in-water (o/w) or water-in-oil (w/o) emulsions. In o/w emulsions, oil is dispersed in a continuous water phase, while in w/o emulsions, water droplets are dispersed in oil. The result of an emulsion of oil and water mix is depended on the volume fraction of both phases and the kind of emulsifier utilized. You can actually tell the difference between the two by measuring the electrical conductivity of the emulsion. If there is no conductivity, it’s an w/o emulsion. Both o/w and w/o emulsions have unique applications and chemical properties, and you can better choose the type you want to use if you know more about these differences. In this blog, we’ll provide some characteristics of o/w and w/o emulsions and describe some of the differences between the two. Used in moisturizing products and food products such as milk, mayonnaise and vinaigrette, o/w emulsions contain a low oil concentration. They are mixable with water, non-greasy, non-occlusive and will absorb water. The dispersion medium in these emulsions is water; o/w emulsifiers keep oil drops packed in water. These emulsions are utilized in products including butter, margarine, cold cream and cod liver oil and are especially useful in products designed for dry or sensitive skin. Common w/o emulsifiers are sorbitan stearate, polyglyceryl oleate, lecithin, sorbitan monooleate and lanolin. Sometimes referred to as an inverse emulsion, w/o emulsions mix more easily with oils and have a high oil concentration. Producing w/o emulsions is more difficult than developing their o/w emulsions. The biggest difference between o/w and w/o emulsions is which phase is suspended and which is continuous. Oil and water are normally immiscible, but with proper mixing and stability agents, a permanent mixture, or emulsion, can be achieved. Smaller droplet sizes will enhance the effectiveness of either system; this may translate to increased bioavailability in pharmaceutical products or extended shelf life in food/beverage products. The chemical nature of an o/w emulsion is distinct from that of a w/o emulsion; each is most effectively used in different products. O/w emulsions are the basis of water-based products; in the pharmaceutical industry, they can be found in creams like moisturizers and topical steroid products. In contrast, w/o emulsions make up oil-based products like sunscreen and most makeup. Stability is key when considering an emulsion synthesis technique; without it, the two phases will separate, and the product will have lower function. All emulsions require an emulsifier to assist with stability. 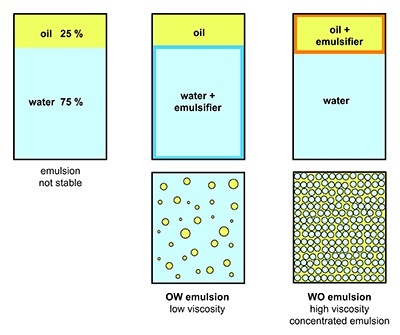 O/w emulsions typically require more than one emulsifier, and they can be acquired separately or in a pre-mixed cocktail. In contrast, while w/o emulsions only require one emulsifier, there is a limited number from which to select because the hydrophilic balance must be in a narrow range. 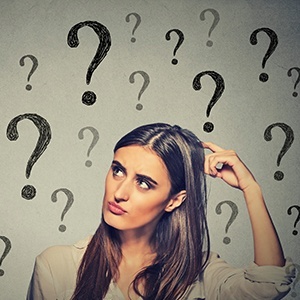 Emulsions, emulsifiers, homogenization and other terms can be confusing, but at BEE International, we can steer you in the right direction based on your specific business needs. Simply contact us to learn more! Homogenization, also known as particle size reduction, is a technique that is gaining popularity in numerous industries, including pharmaceutical, cosmetic, and food. In the pharmaceutical industry, where production of drugs, antibiotics, and other essential medications are paramount to the success of the industry, it is important to understand one important concept: microemulsions. To learn more about microemulsions – what they are, how they work, and how they are critical to the success of the pharmaceutical industry – continue reading. Microemulsions are defined as clear, thermodynamically stable, liquid mixtures of oil, water, and a surfactant – a compound that lowers surface tension. While the aqueous phase of a microemulsion may contain salts or other ingredients, the oil phase is often a mixture of olefins and hydrocarbons. Microemulsions form upon mixing of the components, and do not require the high shear that is often necessary in the formulation of typical emulsions. Microemulsions also have other applications, including the creation of polymers. During this process, the transport of free radicals, monomers, co-surfactants, inhibitors, and other species occurs across the aqueous and organic phases of a system. In the world of drug delivery, self-microemulsifying drug delivery systems, which can be described as isotropic solutions of oils and surfactants that form oil in water microemulsions when they are introduced into an aqueous medium, can improve a number of processes. For example, when presented as capsules, these drug delivery systems can improve the absorption of active ingredients within the body. In addition, with active ingredients that are not water soluble, microemulsions can help resolve that issue, making drugs, antibiotics, and other products created by the drug industry more bioavailable to the end consumer. To learn more about what BEE International has to offer, please contact us today. Homogenization, also known as particle size reduction, is an ever-growing process that is used in a variety of industries, including (but not limited to) pharmaceutical, biotech, cosmetic, and food. With benefits like reduction of product cost, improved taste, appearance, texture, and shelf life, and increased overall customer satisfaction, it’s no wonder more and more industries are looking to adapt this unique processing step. However, before choosing the right homogenizer to create stable micro and nano emulsions, it is beneficial to know a bit about our wide variety of options. Continue reading to learn more about the homogenizers that we have available for purchase. Our laboratory homogenizers at BEE International are well suited for the creation of cell dispersions and emulsions, and include the Nano DeBEE, Mini DeBEE, and Micro DeBEE. These homogenizers offer a maximum operating pressure of up to 45,000psi (3,100 bar), with a capacity of up to 400 mL/min and 22 L/hr. In addition, our laboratory homogenizers offer a guaranteed scale up to a pilot plant or industrial manufacturing setting. Similar to our line of laboratory homogenizers, our line of Pilot Plant and Industrial homogenizers – the DeBEE 2000, DeBEE 3000 and DeBEE 4000 -- offer high quality, repeatable, and scalable results. With features including multiple process intensifiers, synchronized pump systems, menu guided maintenance and calibration, and CE and cGMP compliance, these high pressure homogenizers are guaranteed to fit your industry’s unique processing needs. Our line of homogenizers at BEE International are suitable for a wide variety of needs, and one thing remains the same, no matter which homogenizer you select: our high quality. Our technology combines all available forces that affect the manufacturing process: turbulent premixing, cavitation, impact, high shear, and high intensity. 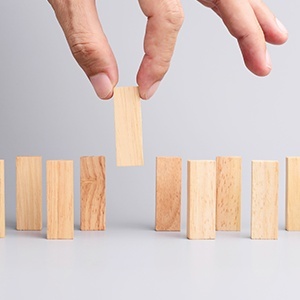 Together, these forces ensure that your end result, whether it is cell disruption or the creation of stable emulsions, dispersions, and suspensions, will suit both your needs and the needs of your customer. Colloid vs. Suspension: What is the Difference? Homogenizers are gaining popularity in the industries of biotech, pharmaceutical, cosmetic, and food. They have been proven to simplify processes, improve taste, texture, and appearance of finished products, and save money – and time. Who wouldn’t want to implement this powerful technology? However, before selecting a homogenizer for the task at hand, it is important to understand two important by-products of homogenization – suspensions and emulsions. 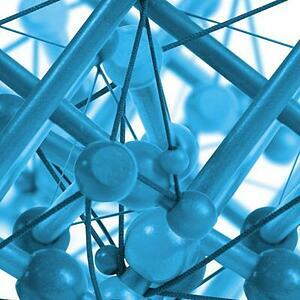 What are suspensions and emulsions? What are the differences? And how are they related to homogenization? Continue reading to learn the answers to these questions and more. A suspension, simply put, is a mixture of two substances – one dispersed into the other. Examples of suspensions include droplets of oil in air, and sand in water. Particles in a suspension are easy to see, as they are larger than the particles making up the solution. Because of this quality, these larger particles within a suspension will settle if allowed to stand undisturbed. This inherent quality also makes suspensions very easy to separate through filtration. 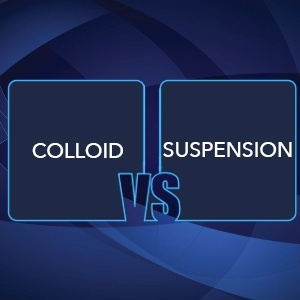 Colloids, like suspensions, can also be defined as a mixture of two components. The particles in a colloid can be solid, liquid, or gas; similarly, the medium that these particles are suspended in can also be solid, liquid, or gas. However, unlike suspensions, particles in a colloid are miniscule in size and cannot be easily separated or filtered. However, although the particles are small in size, they can be seen, thanks to the Tyndall effect, which is defined as the scattering of light by particles in a colloid. Suspension vs. Emulsion: How Do They Differ? Homogenization – also known as particle size reduction – is a growing technique used in a multitude of industries. With benefits to the end product including longer shelf life, lower cost, and improved look, taste, and texture, it’s no wonder more and more industries are looking to incorporate this technique into their process! In the world of homogenization, two terms that are often used are emulsion and suspension. But what do these terms mean, and how do they differ from one another? Continue reading to learn more about emulsion and suspension. A suspension is an evenly dispersed mixture of substances consisting of two components: the dispersed material and the dispersion medium. The dispersed material is usually in a solid phase, although it can take the form of any phase. The dispersion medium is what the dispersed materials are distributed in. For example, in an example using muddy water, the dispersed material would be soil or dirt, and the dispersion medium would be water. Particles in a suspension are typically visible to the naked eye, and with filtration, one component can be separated from the other. Other examples of suspensions include sand in water, dust in air, or even droplets of oil in air. An emulsion is similar to a suspension only in that it is a mixture of two components. That is where the similarities end, however. Unlike a suspension, which can consist of two components of any phase, an emulsion is a mixture of two liquids. What makes an emulsion interesting is the fact that these two liquids are immiscible – that is, they are not able to be mixed without help. In other words, emulsions do not form spontaneously, and need an external force – mixing, shaking, stirring, or the addition of an emulsifier – to maintain its stability. To learn more about suspensions and emulsions, as well as how to choose the best homogenizer for your industry’s needs, please contact us today. Emulsions vs. Dispersions: What is the Difference? Homogenization is the process of reducing particle size of molecules to aid in more efficient and higher quality emulsions and dispersions. This technique is used across numerous industries: pharmaceutical, biotech, cosmetic, drug, and food. However, before you begin your search for the right homogenizer to perform the task at hand, it is important to understand the world of emulsions and dispersions: what are they? How are they created? What are the differences between them? Although the terms are often used interchangeably, there are some key differences between the two. Continue reading to learn more about dispersions and emulsions and how to choose the correct homogenizer for your industry’s needs. An emulsion is defined as a heterogeneous system consisting of two liquids that are incapable of being mixed together. One example of a possible emulsion would be a mixture of oil and water – two immiscible liquids. To prevent the liquids from separating out – as they tend to do – a third liquid, called a surfactant, is added. The surfactant works to prevent the liquids from separating, and allows one liquid to be evenly dispersed into the other. When oil is the liquid that is dispersed, the emulsion is classified as an oil-in-water emulsion. Conversely, when water is the liquid that is dispersed, the emulsion is known as a water-in-oil dispersion. Dispersions are also known as suspensions, and consist of solid particles – ranging anywhere from 0.001 micrometers to 1 micrometer -- distributed evenly throughout a continuous medium. Examples of dispersions include ink, dyes, and even food items, like barbecue sauce. While the process of dispersing is often referred to as grinding or milling, no particle grinding actually occurs. Instead, equipment like colloid mills, sand mills, or high pressure homogenizers are used to create dispersions. When creating a dispersion or emulsion for your industry’s application, it is important to choose a high quality homogenizer. A good high pressure homogenizer uses a large amount of energy to create emulsions, which means that less surfactant is needed to get the job done. Similarly, when creating dispersions, high pressure homogenizers are highly efficient at creating very small particle sizes. BEE International has a number of high quality homogenizers to meet the needs of your industry. Our homogenizers work for virtually every setting, including laboratories, pilot plants, and industrial production. Contact us today to learn more about how our high pressure homogenizers can meet your specialized needs. An emulsion is defined as a dispersion of one liquid into another immiscible liquid. 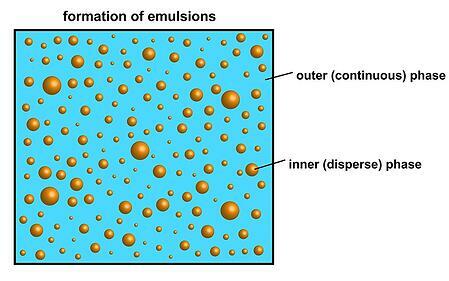 An emulsion consists of two phases: the dispersed/internal phase and the continuous/external phase. 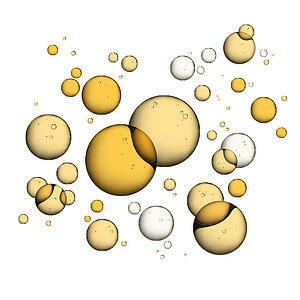 Emulsions are created in a variety of In the world of oil emulsions, one of the liquids is aqueous and the other is oil. 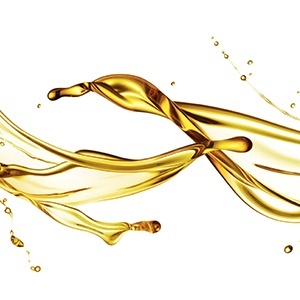 However, oil emulsions can be easily classified into three main groups: water-in-oil emulsions, oil-in-water emulsions, and multiple (or complex) emulsions. The type of emulsion formed is dependent on the amount of each phase that is present. Continue reading for a brief explanation of the various types of emulsions, and how BEE International’s line of high pressure homogenizers can assist with your next emulsification project. Water-in-oil emulsions consist of water droplets in an oil external phase. These are the most produced emulsions in the industry. Oil-in-water emulsions consist of oil droplets in a water external phase. These are often referred to as reverse emulsions. Also known as Complex Emulsions, these types of emulsions consist of water droplets suspended in bigger droplets suspended in a continuous phase. BEE International offers a variety of high pressure homogenizers for use in all manufacturing settings, including laboratory, pilot plants, and large-scale industrial production plants. Emulsions are a common application in the cosmetic and pharmaceutical industries to make creams, lotions, hair conditioners, make up and many other products. For more information on emulsions in the food industry, read an earlier blog here. An emulsion is a mixture of two immiscible liquids like oil and water. Tiny droplets of the first liquid are dispersed throughout the second liquid. With an oil in water emulsion, the oil droplets are dispersed in the water phase and the product will have a lighter feel e.g. in moisturizing lotions or day creams. In the case of a water in oil emulsion, the water droplets are dispersed in an oil phase and the product will have a heavier, greasier feel e.g. in night creams or sunscreens. Water and silicone emulsions are another common emulsion type in cosmetic products. 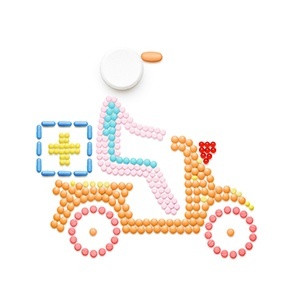 Emulsion products are also frequently used in the pharmaceutical industry. They are used to make medicines more palatable, for injectables, and for improving the visual and textural properties of medicated creams and ointments. DeBEE high pressure homogenizers produce a homogenous mix of smaller, more uniform particles. Our innovative technology offers unique benefits for producing nano / micro emulsions. Our homogenizers can achieve stable emulsions with droplet sizes below 100nm. Particle size is so small and uniform that emulsions can become clear. Product shelf life is extended, and efficacy is increased. Our equipment produces unprecedented results for your emulsion products by allowing you to optimize the mixing process to better achieve your desired product characteristics. This is accomplished by varying the cavitation, shear and impact forces applied to a formulation. Our high pressure homogenizers boast a sanitary design and features like validation procedures and documentation, data gathering, SCADA and automated CIP. Our laboratory homogenizers are compact, easy to use units with small minimum sample sizes and many experimentation options with scalable results. Our pilot plant equipment gives reliable results and guaranteed scale-up, and our industrial homogenizers yield consistent results in fewer passes. Contact us today for more information and to hear about our free sample testing program. An emulsifier (or an emulgent) is a substance that essentially helps in the formation and stabilization of an emulsion. Emulsifiers are surface-active agents that act as the interface between the two immiscible liquids, like oil and water. Emulsifier molecules have a hydrophilic end that forms chemical bonds with water but not with oils; and a hydrophobic end that forms chemical bonds with oils but not with water. The use of emulsifiers is prevalent in the manufacture of food products. Think of a simple vinaigrette salad dressing. If you apply kinetic energy (i.e. shake the bottle), the oil and water will form a fairly homogenous mixture. However, if you let it stand for a minute, it will separate out again. If you introduce an emulsifier like mustard or lecithin, the salad dressing will remain a homogenous mixture for longer. This produces the “creamy” style salad dressings that are preferred by many consumers. Some common types of emulsifiers in the food industry include egg yolk (where the main emulsifying agent is lecithin), soy lecithin, mustard, Diacetyl Tartaric Acid Esters of Monoglycerides (DATEM), PolyGlycerol Ester (PGE), Sorbitan Ester (SOE) and PG Ester (PGME). Different types of emulsifiers are used in pharmacy to prepare emulsions such as creams, balms and ointments. These products usually consist of a carrier, such as water, to which a chemical with medicinal properties is added. This emulsion is stabilized by the addition of an emulsifier to prevent separation and increase the shelf life of the product. Emulsifiers are often used in beauty products like creams and lotions to mix water with essential oils. Water in oil emulsions are used for a heavier, greasier feel (e.g. night & sun protection creams). Oil in water emulsions are used in products with a lighter feel (e.g. moisturizing lotions or day creams). Detergents are a type of emulsifier that will physically interact with both oil and water, thus stabilizing the interface between the oil and water droplets in suspension. This principle is exploited in the manufacture of soaps, to remove grease. Emulsifiers clearly play an important role in the manufacture of countless products, but they are not always suitable (e.g. in the case of milk), and they are often not enough. DeBEE High Pressure Homogenizers can work alone or with an emulsifier for a smoother, more homogenous emulsion with more desirable properties. Contact us today to discuss your particular emulsion needs, or for a free, confidential sample testing and analysis.